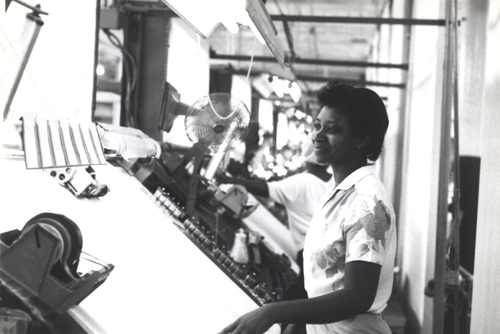 “Don’t sleep with Stevens!” was the rallying cry of textile workers in the South from 1963-1980. 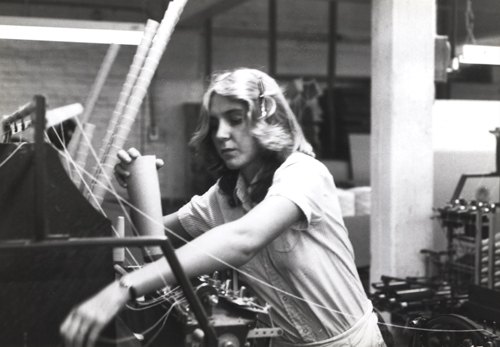 The Amalgamated Clothing and Textile Workers Union fought J. P. Steven’s unsafe working conditions and low wages for almost twenty years and the high-profile battle was the inspiration for the Oscar-nominated film Norma Rae. Joey Fink is the 2012 recipient of the Reed Fink Award in Southern Labor History. 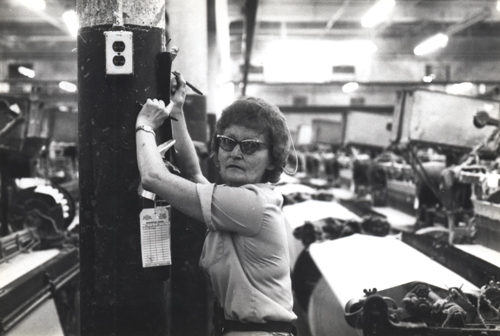 She will present on the topic “The Many Norma Raes: Working-Class Women in the Struggle to Organize J.P. Stevens in the 1970s” on Tuesday, November 13 from 11:50-12:50 in room 2131, 34 Peachtree Street. Ms. Fink is a Ph.D. candidate in History at the University of North Carolina, Chapel Hill. Fink also works as a field scholar at the Southern Oral History Program, and has conducted interviews for the SOHP’s Long Women’s Movement project and with southern labor and public health activists. Fink received her B.A. in History from the University of Massachusetts, Boston, and her M.A. in History from UNC Chapel Hill. She has presented on her dissertation research and her work for the SOHP at various conferences (Southern Historical Association, Southern Labor Studies Association, Organization of American Historians, and the Oral History Association), and her first publication, a chapter on Crystal Lee Sutton (the “real Norma Rae”) will appear in an edited volume (North Carolina Women: Their Lives and Times), to be published by University of Georgia Press next year. The Reed Fink Award in Southern Labor History is awarded annually to individuals whose research in the Southern Labor Archives will lead to a book, article, dissertation, or other substantive product. Click here (PDF) to learn more about the Reed Fink Award. This talk is being co-sponsored by the Southern Labor Archives at Georgia State University Library and Georgia State University’s History Department. This entry was posted in African American Studies, Business, Economics, For Faculty, For Graduate Students, For Students, History, Special Collections & Archives, Women's, Gender, and Sexuality Studies. Bookmark the permalink.